GRANNY SQUARE BLOCK in Blues, Gray, Black and White for Amy G.
For this month’s block I chose a Granny Square block made by using the Granny Square Quilt Block Tutorial by Blue Elephant Stitches. It is a relatively easy block to do, and uses all 2.5 inch squares so it is good for using up scraps or leftover charm squares. I would like this quilt to be varying shades of blue, gray, black and white. You don’t have to use all of these colors in your block, just please don’t use any additional colors in your block. I used a combination of solids and small scale tone-on-tone prints and I think this works well for good contrast so that the granny square pattern shows. I am also on Instagram as Indigo_Stitches if you need to refer back to my samples. The link to the tutorial can be found here. The only difference is that I would like my center block to be a contrasting color, so instead of 5 squares in one fabric that the tutorial calls for, I would like 1 center block and 4 “mama” blocks. Also, you can omit the step for squaring up the block, that way I can trim them all down to size before I sew the blocks together. You will be making half of Anna Maria Horner’s Spinning Stars block. The pattern calls for templates but some creative soul made a paper pieced version which is what we’ll be using. I’ll provide the paper pieced templates which include a right and left side for each quadrant of the block. I am asking you to make 2 quadrants (requiring 4 paper pieced templates total). Sewn together, this will be roughly 9 ¾ x 18 ½. Please do not square up when finished. Each paper pieced template has an A, B, and C section. I’ll provide the fabric for the B section (as I want the entire block to have the same B fabric), but the other 2 sections should be scrappy jewel tones/saturated reds, yellows, oranges, pinks and purples (violets). To avoid bulky seams, sew the A and B piece together 1st on the right side and the B and C piece together 1st on the left side. I think this will help the pieces nest together when sewing the 2 pieces together. I love this quilt by Blue Elephant Stitches, and it is definitely my inspiration! February 2016 BEES - the Amy month! 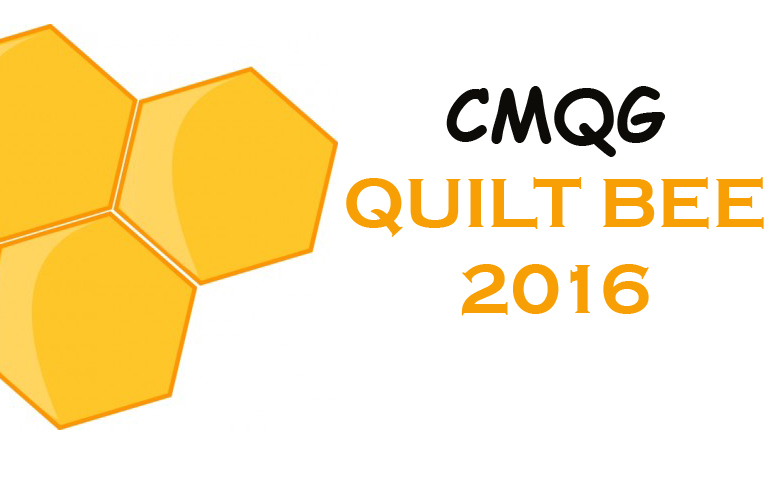 We are doing a Quilt Bee this year! Here's how it works: there are two bee hives. Each person in each hive gets a month. When it's your month, you show your block at the Guild Meeting, then the next month, your hive members bring completed blocks to you. You will probably get enough blocks to make an entire quilt top! Your chosen block size should be between 12 inches and 15 inches. If you want smaller blocks, you could request several small blocks that roughly equal one larger block. Remember that skill levels vary among hive members. 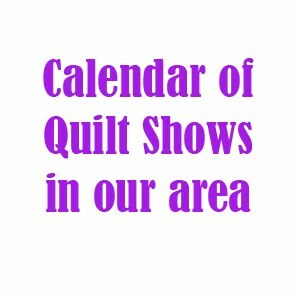 Challenging our skills and creativity is great, but, the block should still be attainable for novice quilters. You may request a specific color scheme. If you would like a specific fabric or designer, you must supply the fabric. If you miss a meeting, or you are unable to make the block, contact Queen Bee Annie. Type up instructions for your block. This should include size requirements, color scheme, and instructions on how to make the block. You can either create a tutorial yourself or link to a site that has a tutorial. Include a photo and/or color inspiration. Email this information to Wendy (either the instructions and photos, or the link to your blog post containing the information). Please email the information the WEEK OF THE GUILD MEETING. At the Guild meeting, you'll bring your sample block and share with the group, plus give a quick overview of what you want. You will receive an overview at the Guild meeting of the block you are to make. The instructions for the blocks will be posted here on this blog. Make the block(s) and bring to the next meeting! There are two hives within our Guild.